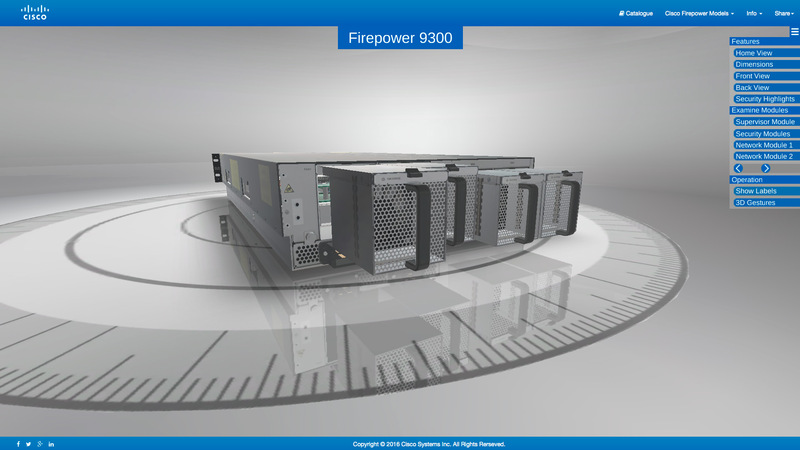 As part of Cisco’s launch of their ASA with FirePOWER services and Firepower NGFW firewalls, we created an interactive 3D product marketing experience for desktop and mobile devices. 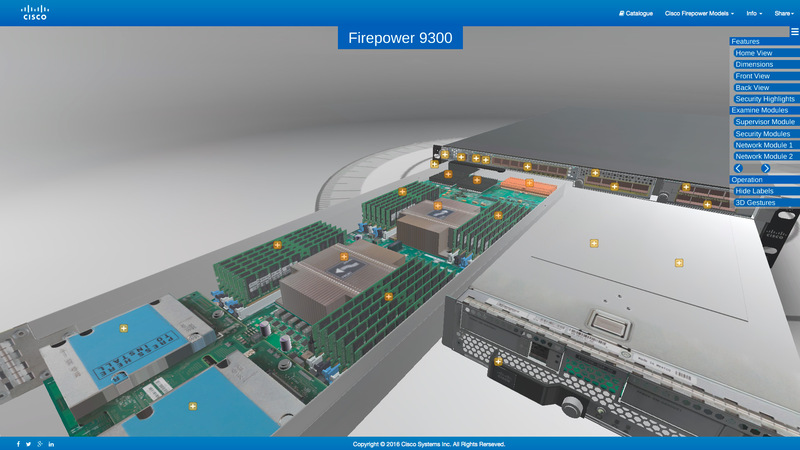 The website and mobile app enable users to interact with a 3D model of each firewall device, giving them a unique tangible experience with the product before they buy. The experience can be viewed via desktop, through a web browser or on a mobile device such as a smart phone or tablet via a mobile application. The interactive product experience has been an exceptional sales and educational tool for both the sales and customer service teams. 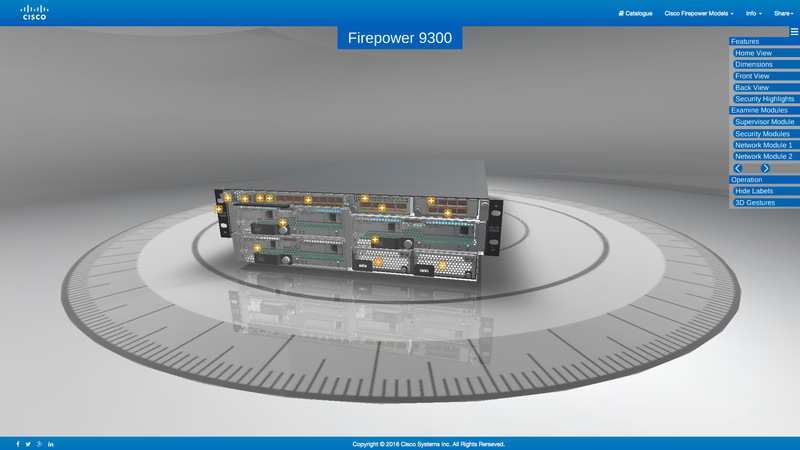 Users can learn and understand each firewall device without having to have one in front of them, saving sales teams both time and money. Customer service teams have also found that the experience has made training calls easier by having a 3D model to view while trouble shooting or educating a sales team. 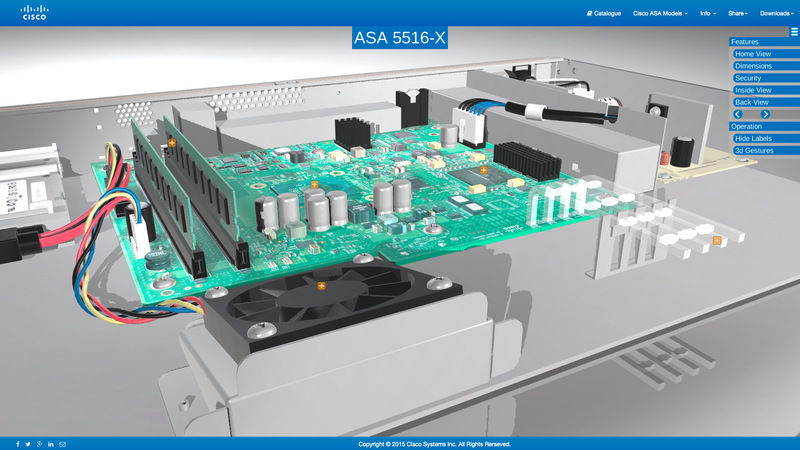 Built using WebGL technology along with HTML5, the experience allows you to interact directly with the model using either your mouse or your finger: zoom in, spin it around, take the lid off and explore the interior. 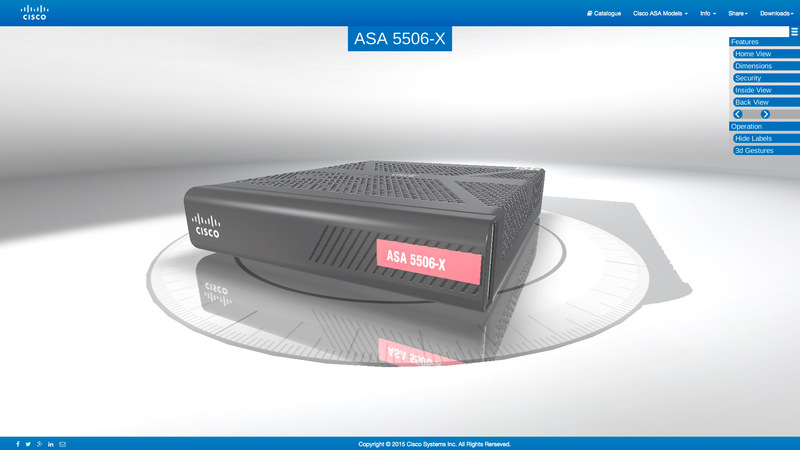 Hotspot labels enable you to find out more information about specific components: for example, specific internal hardware, the exterior ports, and the overall functionality of the firewall device. In addition there are numerous links to external resources such as data sheets and use cases as well as links to product videos we produced for each product. 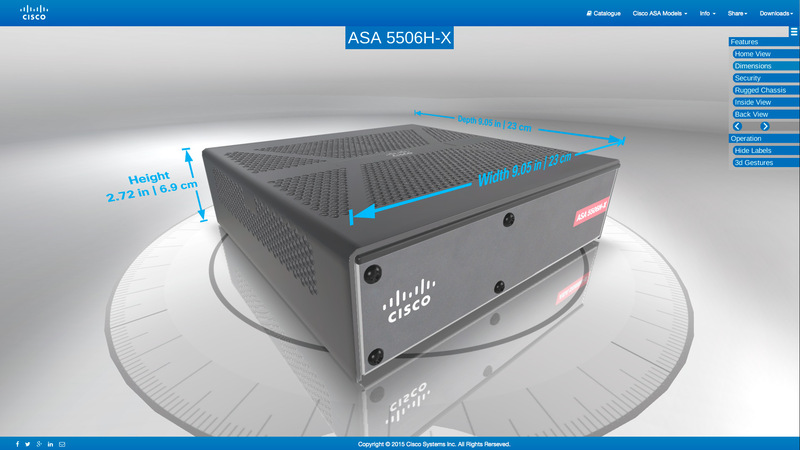 Each model was built and textured in 3D and optimized to display smoothly both on desktop and smart phones. The interface was designed to make navigation easy and intuitive and provide the user with a seamless experience. The interface design is customizable to further your branding efforts and reflect the current messaging of your company. You can quickly share or embed the product experience via a universal URL, providing marketing and sales teams with a powerful selling tool.